I gave this to my Sister who allows us to "gatecrash" her holiday each year!! I love spending the time with her - a great chance to catch up. So beautiful and serene Alison. 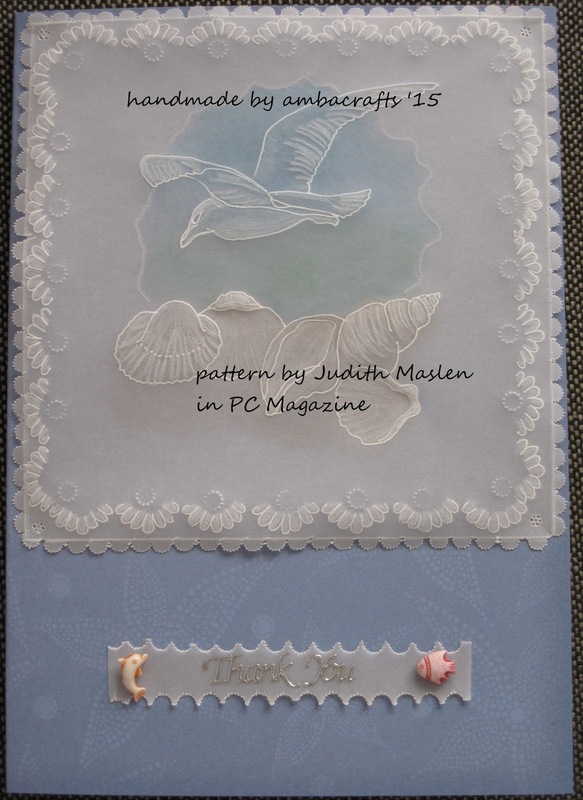 Alison another stunning piece of work, the bird and shells look so delicate. Just beautiful Alison, you know these designs would make great wall hanging art. 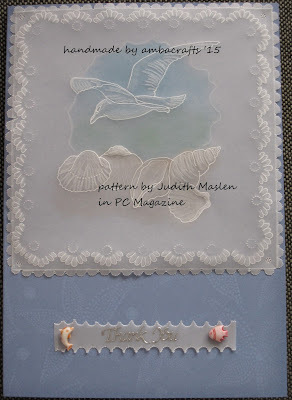 A beautiful card and maritime image. This is such fabulous parchment work.